Congressman Lee Zeldin warns Iran agreement was never actually signed - so it's up to Congress to offset Obama's naive detente with Tehran. The nuclear agreement with Iran may be a done deal, but Congressman Lee Zeldin (R-NY) says the battle against the Islamic regime's aggressive policies - including sponsoring global terrorism and expanding its control over the Middle East - is far from over. Zeldin, a member of the House Foreign Affairs Committee, has been one of the legislators leading efforts following the nuclear deal to keep the heat on Tehran. 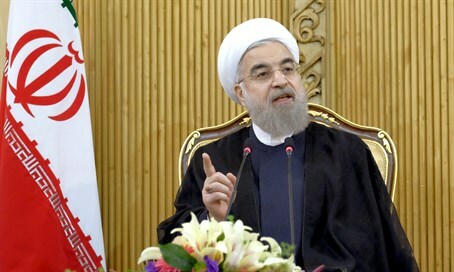 Just recently, he co-sponsored a bill tightening inspections of Iranian ships and airlines. Under the existing law, the President is required to report to Congress - on an annual basis - on sea and air traffic into Iran which could have violated international sanctions. The law expires on December 31. The new bill, if passed, would extend the law for another three years, and would also add a new requirement that the Administration report to Congress all efforts the State Department has made to encourage other countries to prohibit the use of air space and airports by sanctioned Iranian air carriers. Speaking to Arutz Sheva earlier this week, Zeldin said Congress must keep up the pressure on Iran regardless of the deal - an agreement which he insisted isn't worth the paper it's written on. "Not only is this not a treaty or an executive agreement, (but) Secretary (of State John) Kerry calls it a 'political commitment,' and has admitted that it hasn't even been signed. "This isn't really a deal - the Iranians haven't even put pen to paper on it yet." Worse still, he noted that Congress has yet to be briefed on the verification agreement between the International Atomic Energy Agency (IAEA) and Iran - leaving serious question marks over the reliability of the mechanisms in place to ensure Iran complies. That - in addition to "a whole lot of other bad activity by Iran," such as continuing to act as the largest state sponsor of terrorism in the world - requires a tough response from the US, Zeldin says. "We need to understand that this is a country that doesn't respect weakness, they only respect strength," he said. "The leverage which brings them to the table is sanctions, so we need to strengthen the sanctions if we want to deal with any of its other bad activity." In addition, he says the US should work to weaken Iran's regional allies - in particular its proxies Hezbollah and Hamas - as well as undermining Tehran's key alliances with Russia and China. In a veiled swipe at the Obama administration's policy of detente with Iran, Zeldin stated that such tough policies are the only way to curb Iran's belligerent foreign policy. "The Iranians will not come to the table because they believe they are good world citizens - that's just not reality."